Tiscali (one of the leading ISP and alternative Telco Operators in Italy) is focused on extending the portfolio of products and services offered, and includes in its roadmap the interest in setting up hubs in public environments (e.g. 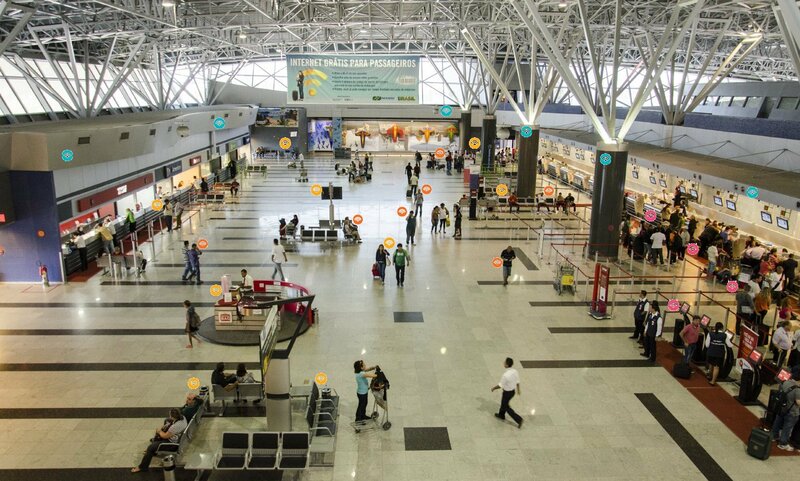 airports, train stations, hospitals, malls and related parking areas) capable of tracking the presence of people and other objects in the field, and develop value added services on top for proximity marketing, prediction of path/behaviour of consumers, and taking real time decisions. Setting up (Fog) Hubs in such scenarios is strategic to interact with all the objects within the scope of coverage, and to operate “in-proximity” marketing efforts, applying predictive algorithms to determine even anonymously movements, choices and decisions persons nearby are going to do, or even extend the hub with devices (e.g. beacons) capable of sending input (e.g. customized advertising) and determine the effectiveness of the specific campaign in terms of attention/visits rather than conversion (purchasing products / services). The foreseen hubs could also form the base for some products to be delivered at home’s premises or could be adapted to be used as a planning tool for determining the number and distribution of people that use (or is expected to use) various services like public transport, etc. This kind of hub can be easily considered as a fog device that should embed cloud connectivity to either process large amount of data or request extra-data – perhaps data coming from other fogs nearby –, scenario defined as Smart Fog-Hub Service (SFHS). Basically the IoT will be driven by business market instead of consumer market, and Tiscali believes that SFHS would be the best way to aggregate business users, design new business scenarios and create value. There is with no doubt that the capacities provided by mF2C will enable the distribution of the processing of data, reducing traffic load between cloud & hub and latency in interactive services.